With the impending release of Super Smash Bros. for the Wii U, Nintendo is not only going to roll out the (hopeful) biggest game on the Wii U ever, but the Japanese company will also bring out the newest contender in the NFC toys-meet-games sub-category. Called Amiibo, each figure is being marketed as something very different from Activision’s Skylanders and Disney’s Infinity line of figures. Not simply used to unlock content in a specific game, each Amiibo figure will apparently act as a sidekick to the action, enhancing your gameplay experience, but not at all required to otherwise play and enjoy the game they are a part of. It’s bold, it’s different, and I think it just might work, and here’s how. The biggest difference between Skylanders and Disney Infinity and Nintendo’s Amiibo figures are their functionality with multiple games. Rather than being simply used in a single series of games, each Amiibo figure will be compatible with multiple different games. Nintendo has stated the first lineup of games to incorporate Amiibo will include Super Smash Bros., Mario Kart 8, Captain Toad: Treasure Tracker, Yoshi’s Woolly World, and Mario Party 10. Aside from Mario Kart 8, all of these games are still in development, so when we’ll see them and how they’ll function within each game is unknown. Except with Super Smash Bros.
With Nintendo’s newest mascot-driven fighting game, each Amiibo figure can be used as a partner to do battle with, or a challenger to test your own limits. Using your Amiibo figure will level them up and improve their stats, which are stored on the Amiibo figures themselves, and they can then be used on a friend’s Wii U or 3DS system to show off and battle further. The idea of having a little companion in a game that is all about strength, wits, and battle prowess is pretty great, especially for the less savvy, non-competitive players. Assuming you can use these figures with other Amiibo supported games, that is just one way to enjoy your toys. 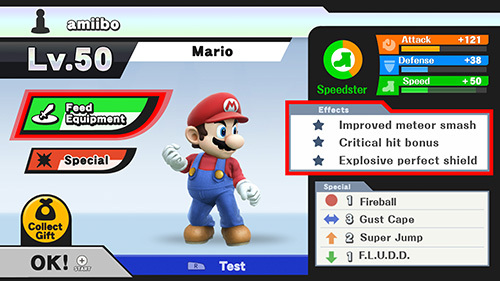 After sparring with Mario in Smash, maybe you can use him to race against in Mario Kart 8. Or maybe he’ll even make a fun cameo appearance in Yoshi’s Woolly World, or get into some fun shenanigans in Mario Party 10. We don’t know for sure how they’ll work, but it does look to be a bright, long future for Nintendo. It might seem kind of silly, talking about how the Amiibo figures look, but when it comes right down to it, these are just toys. And when you’re not playing with your toys, it helps a lot when they look wonderful just sitting there. Granted, both Skylanders and Disney Infinity toys look cool when just sitting out, but, and I’m going to be a bit of a Nintendo fan here, they aren’t Mario. They aren’t Link and Zelda. Hey, there even not the Animal Crossing Villager! Seeing these familiar faces whom I’ve played games with and enjoyed for a couple decades just chilling on my desk or by my TV would be awesome by themselves. But the fact that I can use them in a game and enjoy them in another way is just great! 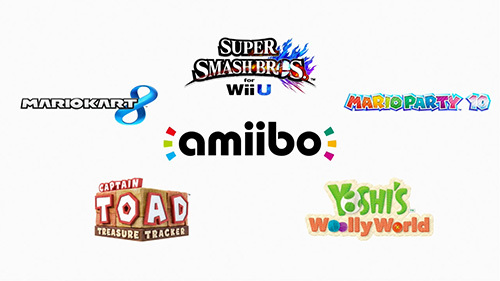 As mentioned above, each Amiibo figure will be used in multiple games, and there are a handful of games being released in 2015 that will support Amiibo. Nintendo has stated they plan on using Amiibo as a platform for both the Wii U and the 3DS, and they are looking to keep creating new and exciting games to incorporate them. I’m hoping companies other than Nintendo will create and implement Amiibo as well. That will for sure extend the longevity of the toys. Think about it: wouldn’t a Sonic the Hedgehog Amiio be great? Or what about Mega Man? It might be a stretch, but maybe we’ll even see Professor Layton or Phoenix Wright Amiibos! Stranger things have happened. 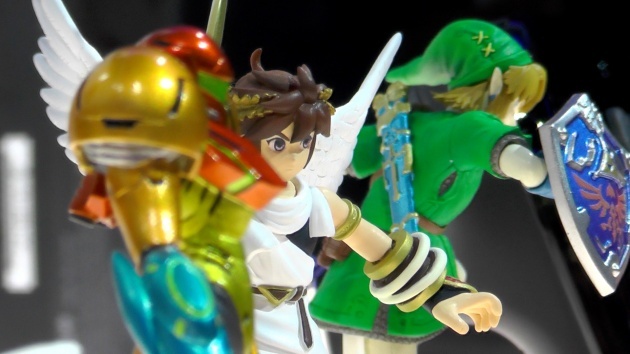 In a very similar tone with other NFC toys, each Amiibo is an investment. We as consumers drop down the cash to buy them and get multiple games in which we can enjoy them. Nintendo has arguably the largest back catalog of games to use these toys, so what better company to roll out this new feature for the long haul? Don’t back the Big N into a corner: they’ll come out swinging. Though Amiibo will be available for Wii U and 3DS platforms, it is apparent Nintendo had the Wii U in mind when creating the toys. The Wii U GamePad already has the NFC technology built right in, meaning you won’t even need to purchase any other peripheral to use the figures, something Infinity and Skylanders cannot claim. It saves you some money and it saves on space! I think the 3DS will use Amiibos in a cool way, but any device or added peripheral that takes the portable out of a portable system won’t do well. 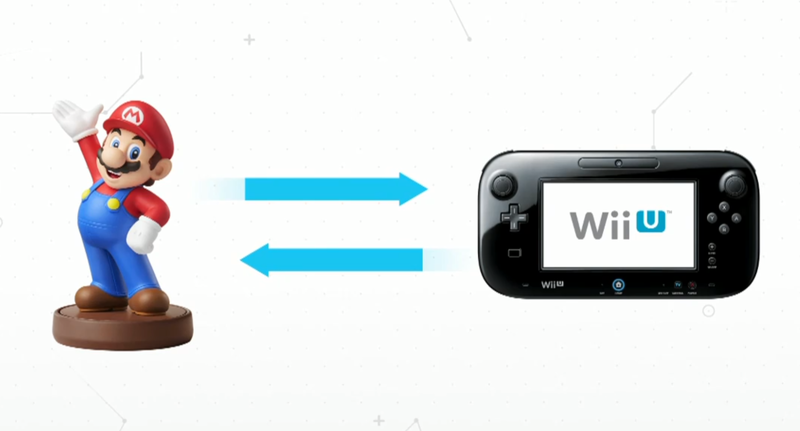 For that reason, I’m really seeing Amiibo as a Wii U thing. Of course I’ll buy the 3DS connector when it comes out, but that doesn’t mean I won’t be looking at Wii U for my primary Amiibo gaming. 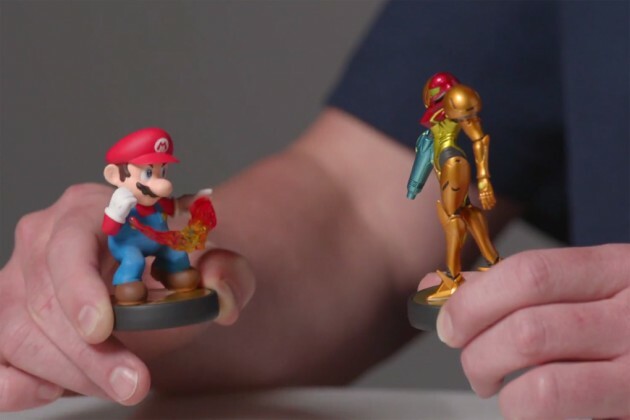 This is why I’m excited about Amiibo. Unlike Skylanders and unlike Infinity, the Amiibo toys work independently of the game they are on or the player they are being used with. In Smash for example, you can play against your Amiibo as a sparring partner, learning moves and getting better training. In this sense, the Amiibos are more like computer controlled AI, but with a real world connection. They are your physical objects you have a connection with, that come to life inside the games. For a gamer that plays plenty of single player titles, this is a neat new way to play. Mario Party 10 could incorporate computer controlled AIs via Amiibo, letting you play with certain settings on certain characters, and storing wins/losses as well as any collected currency. Just a thought. Maybe in Captain Toad: Treasure Trackers a special Amiibo will be released that can be used to assist in a level, giving Captain Toad an extra item or somehow better support the hero. And maybe in Mario Kart 8 we’ll get special DLC or updates that allow Amiibo figures to be used to store ghost data or collect bonuses or something like that in-game. Honestly, I really don’t know what to expect from these new Amiibo games, but I am more than optimistic about these little guys! What do you all think about Nintendo’s Amiibo figures? Are you going to buy any of them when they are released. 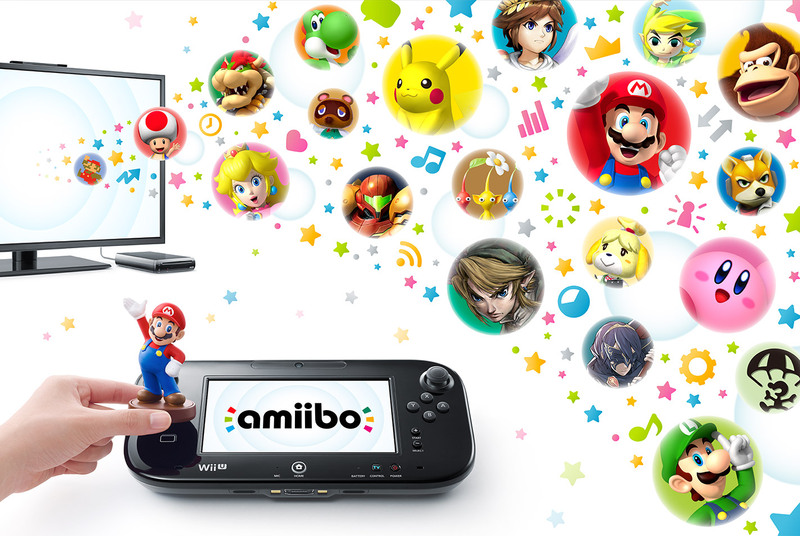 For those without a Wii U, will Amiibo sway you to buying Nintendo’s newest console? It’s a ways off, but I’m looking forward to the release of these new toys and what they will do for Nintendo in the future. Review: Adventure Time: Hey Ice King? Why’d You Steal Our Garbage?!! I’d buy Wario, if they released one that is. He’d be my in-game mascot! This concept seems wickedly cool! Thanks for informing us, I didn’t know much about this until now. Oh yeah, Wario would be an excellent toy to add! Maybe they could tie it in with another Wario Land game. That’d be amazing!! A new wario land game, that’d be a dream!